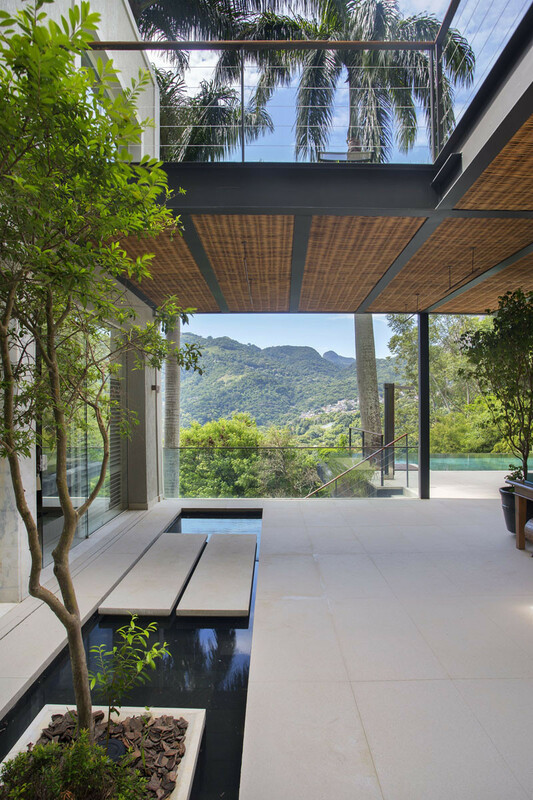 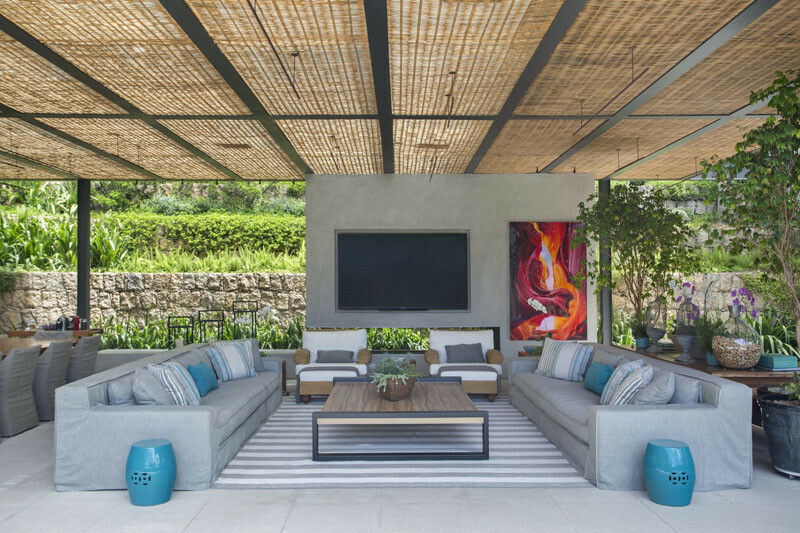 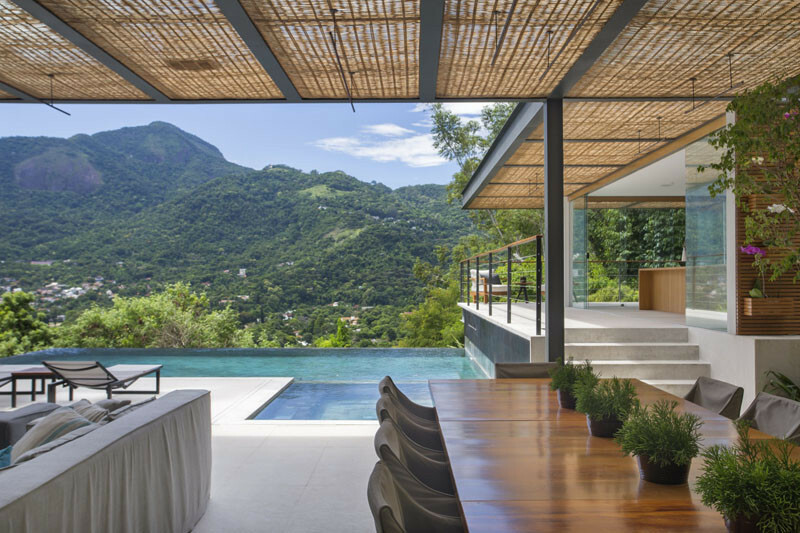 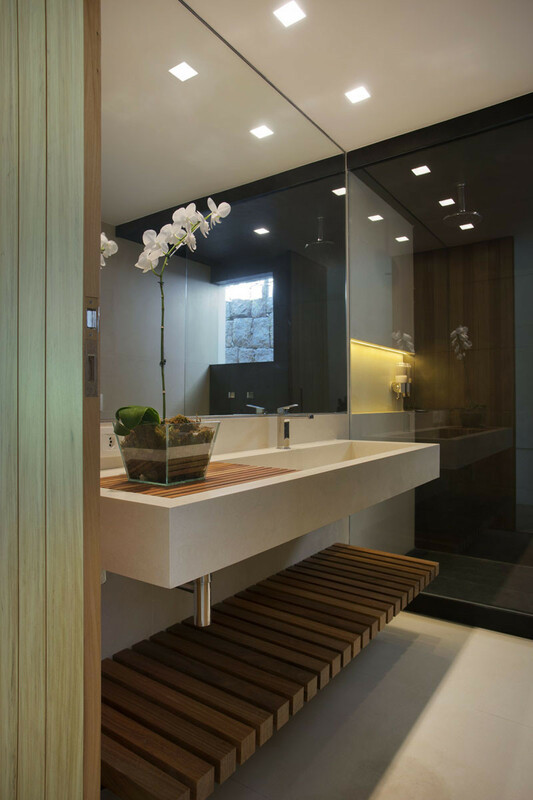 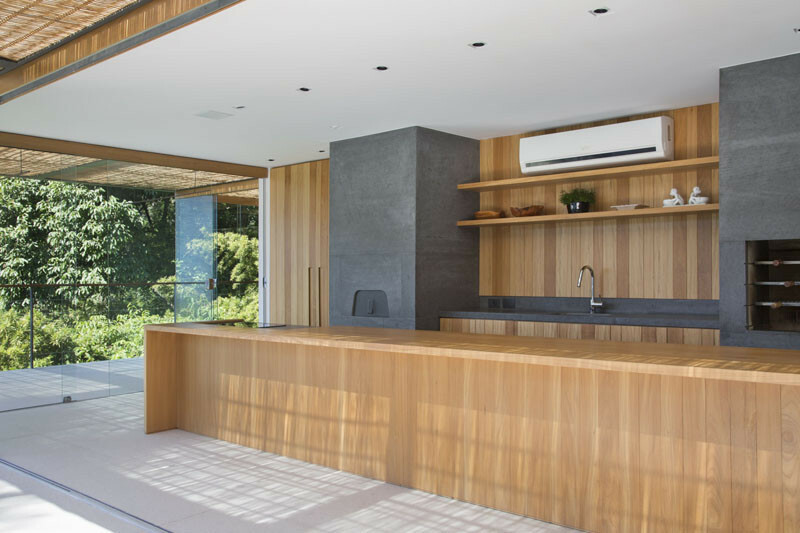 Cadas Arquitetura has designed this pool house and outdoor area for a house in the mountains near Rio de Janeiro, Brazil. 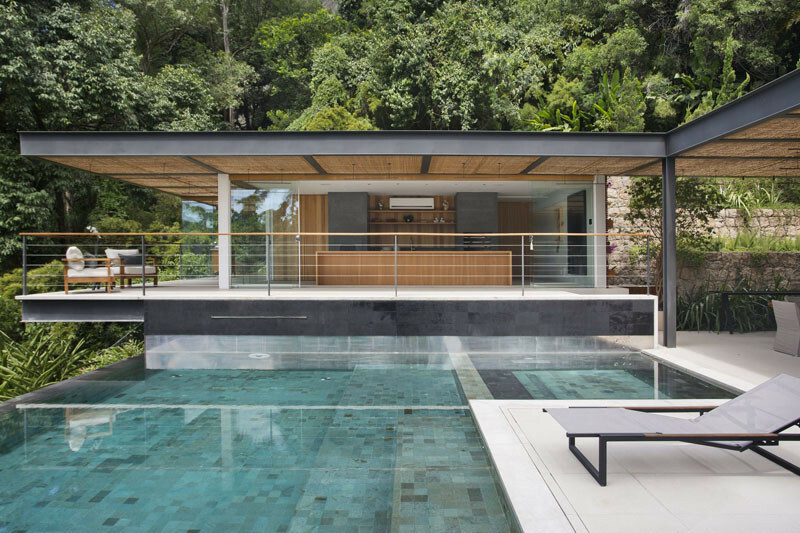 The pool house and outdoor area wrap around the edges of the pool. 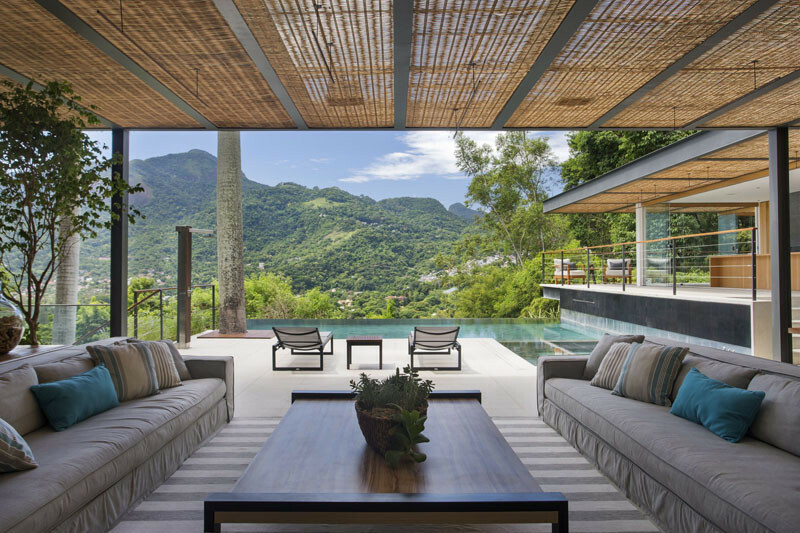 Stepping down from the pool house, you reach the main outdoor dining and lounge area.